Jared Leto was pictured at Los Angeles International Airport (LAX) on 2nd November 2014. The Academy Award winning actor channeled the utmost hippie chic with a red lumberjack plaid shirt, pastel blue fair-isle wooly hat, blue socks rolled over his trousers (say what?? ), Givenchy slip on sneakers and even the glorified red-white-blue China bag for good faith. Totally eclectic but that has to bring a smile to your face. Is it sad that the only item I want from his entire look is that flimsy China bag? 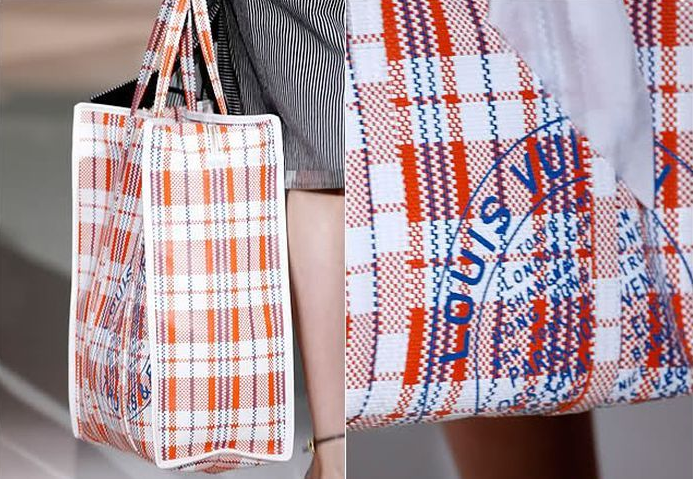 Remember when Louis Vuitton did an ultra posh version of that? Is it also sad that I really want that too? ?